Mon., 29 Jul. - Sat., 24 Aug. Sun., 2 Feb. - Thu., 13 Feb. 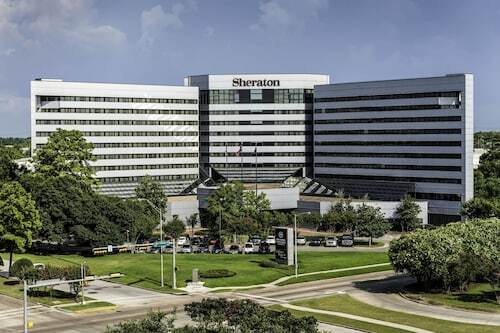 Situated in Houston, this hotel is within 6 mi (10 km) of Houston Police Department Museum, Crowley, W. E. "Bill" Park, and Houston Grand Prix. Greenspoint Mall and Park at Fall Creek are also within 9 mi (15 km). 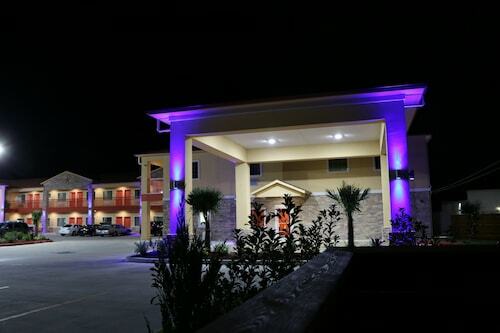 Located in FM 1960, this motel is within 3 mi (5 km) of Kenswick Park, Deerbrook Mall, and Cypresswood Golf Club. Humble Museum is 3 mi (4.9 km) away. 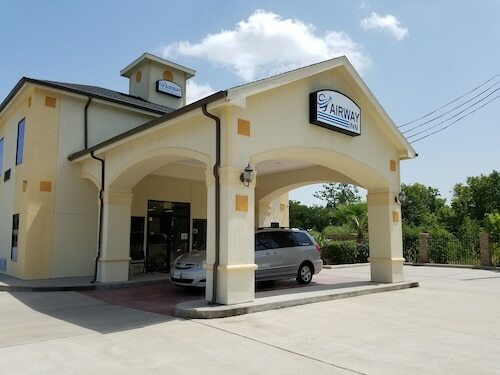 Situated near the airport, this motel is within 6 mi (10 km) of Crowley, W. E. "Bill" Park, Greenspoint Mall, and Houston Grand Prix. Houston Police Department Museum and Park at Fall Creek are also within 6 mi (10 km). 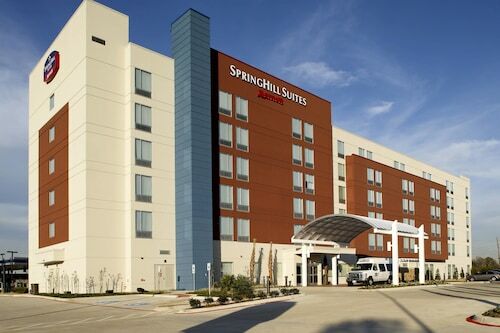 Situated in Houston, this motel is 1.4 mi (2.3 km) from Houston Police Department Museum and within 6 mi (10 km) of Greenspoint Mall and Crowley, W. E. "Bill" Park. Houston Grand Prix and Mercer Arboretum and Botanic Gardens are also within 9 mi (15 km). Question : How much time do people spend in Houston? Answer : The average time spent in Houston by travellers from Buffalo is about one week. However long you decide to stay, give yourself plenty of time to see what makes Houston fantastic. Question : Which airline has the least delays from Buffalo to Houston? Answer : Booking with United Airlines means you will arrive to Houston . In fact, this airline has a 100% on-time average. Question : How much is a plane ticket to Houston (IAH) from Buffalo (BUF)? Answer : They can vary from $308 to $1,419. 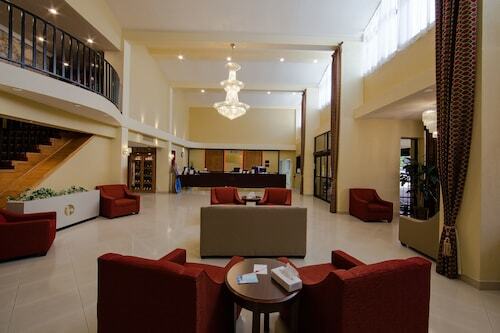 Booking in advance can normally help you get the cheapest ticket. The further out you book your ticket, the more likely you are to save. Question : What is the cheapest airline flying from Buffalo to Houston? Answer : American Airlines is your best friend for finding that in demand low fare. They're offering fares as low as $308, while rates for other flights can cost as much as $1,419. Answer : Yes, you can adjust your departure or arrival date. If you wish to save a little cash in doing so, the cheapest day to fly in April is Saturday. You may be thinking you're missing out leaving a day earlier, but we think of it as you just adding saving towards your next holiday. A dollar saved is a holiday earned. Answer : The cheapest day to fly from Buffalo to Houston is on Saturday. If you are trying to save a little money on your next trip look for flights on Saturday. Question : What is the cheapest date to fly to Houston? Answer : If you are looking to save, look at May 8th. As of Apr 15th, it's showing the cheapest ticket sales at $308. 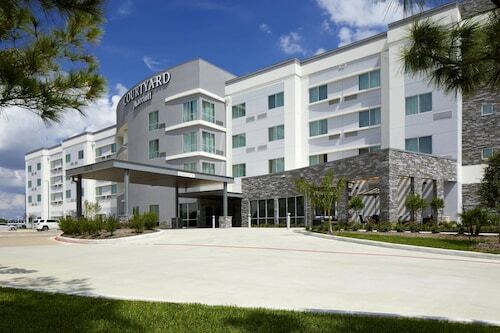 That is 40% below the average for this route, so you can spend the savings on an amazing experience in Houston.